The world has progressed in a way that there is tolerance towards the grey section, it has to either black or white, good or evil. The triumph is beholden by the good with his morals and fights against the bad. This is the most trending ideology in most nations. The traditional definition of good and bad is very much solid that it still prevails after all the conventional scientific upgradations. FDA had released a bulletin that more than 40 people have succumbed to Kratom powder. The death-toll surprisingly kept rising from 36 people to around 60 people. This is in a way highly threatening, right? FDA also issued a notice regarding the concern it has on the public’s health. It is highly underwhelming to face the fact that the FDA is yet to understand that computerized models are not very sufficient or reliable to analyze the compounds of human opioid reactors. In other words, the evidence that is the outcomes out of computerized models cannot be considered as a commandment. It could turn up into a very generic type of research but nothing else. Completely ignoring experimental model-based research in a way strengthens the doubt of FDA’s deliberate nature in the context of Kratom powder. FDA Commissioner Scott Gottlieb’s never-ending propaganda in social media without providing any solid scientific data can be considered as another mistake of FDA in regard to Kratom. National Center for Biotechnology Information had published complete analysis as evidence but the FDA barely noticed it. The organization still functions with the computerized evidence model which is completely generic and it constantly remained ignored towards the experimental analysis model. The evidence that is presented should be sound and scientific, providing mere opinions or computer generated data doesn’t be justified as undisputable truths and they are also unspecific. It is widely regarded that experimental evidence has greater value than computer-generated evidence. Experimental evidence, unlike the computer-based, it works from the foundations of the plant instead of just looking around its components. There is no guarantee for all the Reputable professionals being impartial. 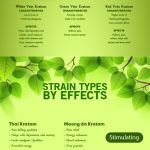 There are indeed some reports from very professional doctors who said Kratom is a cruel substance. This cannot be taken as the only consideration while making the judgment. The crux of the plant cannot be analyzed by the computer models in a proper way. It is the failure in the part of FDA authority for not recognizing this fact. Applying the experimental analysis would only allow the FDA to decipher the factual truths. It seems like the actual reason behind accusing Kratom is for selling more medicines in an aggressive way. In other terms, it is a corporate decision for increasing the consumption of medicines by throwing blame on plant powders. There are studies saying FDA had brought many numbers of medicines like any time in the past on this calendar year. This requires your attention and your voice to overcome the unfair banning of opioids. It is true that there are some amount of illegal vendors who trade Kratom, but the FDA is playing the one-sided game by not considering legitimate traders. Watching the current trends, it seems like the FDA is on the mission to create as many chemicals as possible to reduce the symptoms but not the cure. FDA’s strategies are very much visible in the context of alienating Kratom and its substitutes. Every loyal consumer who is buying Kratom powder from all corners should condemn this and Kratom must be kept accessible to us. The truth of Kratom is not as harmful as it is being projected must come out one day.